Mí-ord le fadhbanna iompair agus teanga is ea an t-Uathachas, nó riocht ina bhfeidhmíonn duine go mínormálta in idirghníomhú sóisialta, le hiompar athdhéahta is cumarsáid fhabhtach, a thosaíonn roimh 3 bliana d'aois. Meastar go mbaineann sé le páiste amháin as 2,000, agus 4 oiread níos minice i mbuachaillí ná cailíní. Ní fios cad is cúis leis, agus tá taighde, taighde géiniteach mar chuid de, ar siúl ar fud an domhain chun tuiscint a fháil air. Bíonn raon leathan intleachtachta ag páistí uathacha, agus braitheann an toradh don pháiste ar na háiseanna foghlama a chuirtear ar fáil dó. Is féidir le 80% de na páistí cúram a thabhairt dóibh féin nuair a fhásann siad suas. Ba é Leo Kanner a chum an téarma Uathachas leanbaí in 1943. B'é Leo Kanner, síciatraí páistí Ostarach a d'oibrigh sna Stáit Aontaithe (agus a rugadh san Ostair i 1894), a thug an chéad chur síos ar airíonna an uathachais. 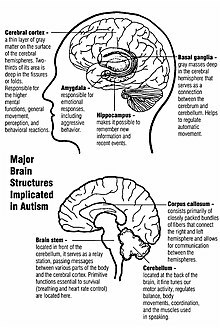 D'fhoilsigh sé páipéar tábhachtach, Autistic Disturbances of Affective Contact, i 1943, agus b'é seo bunús ar staidéar eolaíoch faoin t-uathachas, in éineacht le hobair Asperger. D'úsáid Lorna Wing an téarma "siondróm Asperger" don chéad uair i 1981. Ba phéidiatraí ón Ostair Hans Asperger a rinne an chéad chur síos ar an siondróm ina thráchtas dochtúireachta i 1944. Die Autistischen Psychopathen a thug sé air. I rith na 1940í, rinne Asperger staidéar ar ghrúpa buachaillí a bhí difriúil ó thaobh iompar pearsanta de, i gcomparáid le leanaí eile. Bhí fadhbanna teagmhála is sóisialta acu a bhí cosúil le leanaí le huathachas ach ní raibh na fadhbanna urlabhra is teanga a baineadh le huathachas acu. Cé gurbh Ostaraigh an bheirt acu, níor bhuail siad riamh le chéile. Bhí imní in Éirinn faoin vacsaín MMR (Bruitíneach, Leicneach agus Bruitíneach Dhearg) tar éis "staidéar" ón Dr. Andrew Wakefield sa Ríocht Aontaithe sa bhliain 1998 faoin gceangal idir an t-uathachas agus an MMR. Ach ta a fhios againn nach bhfuil baint ar bith ann idir an t-uathachas agus an vacsaín. Tugadh an leathanach seo cothrom le dáta an 20 Eanáir 2019 ag 16:48.